Last summer I bought the kids a foam hopscotch mat for the courtyard (very cheap from good old Tesco’s) but with the very wet winter we have had it has been packed away for a while so recently we dug it out. The initial idea was to use it to help Blue recognise his numbers (he has taught himself to count to 20 just be listening to Pinks lessons but he did not know what the number looked like). 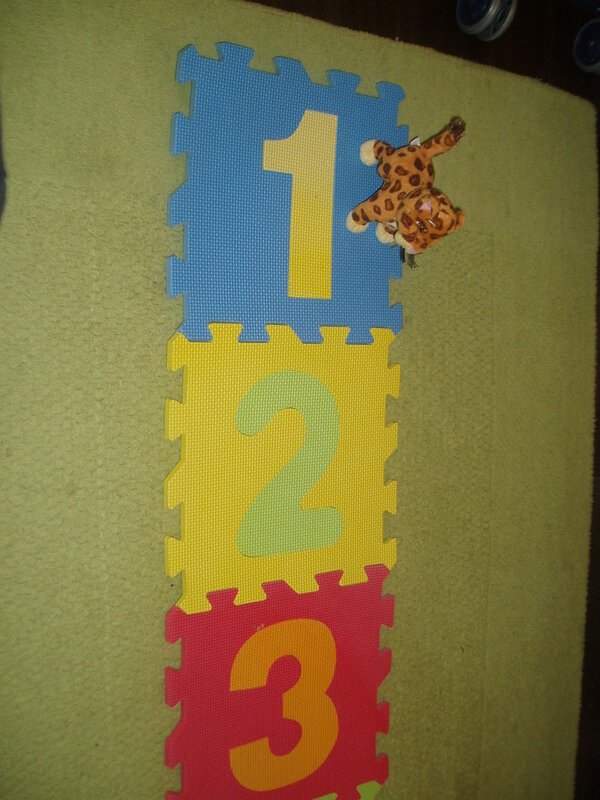 So we started off by getting him to jump on the number as we shouted it out or to put some of his toys on the number. Pink naturally joined in only she did hers in Afrikaans (2nd language). 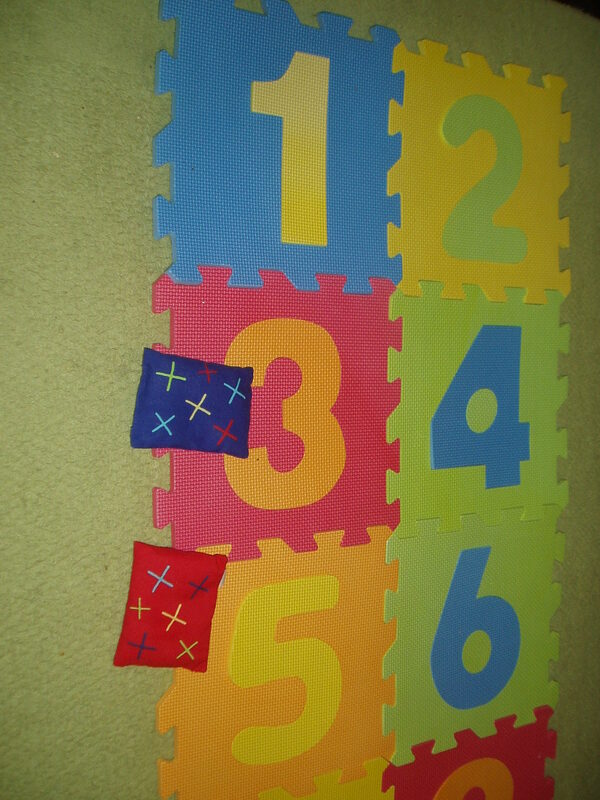 We also got out our little bean bags and made a game of both kids throwing the bean bags onto the number that I said. This proved such great fun that the kids have been doing it for a few days now and we just keep changing the order of the numbers so that they have to think about what they are doing. 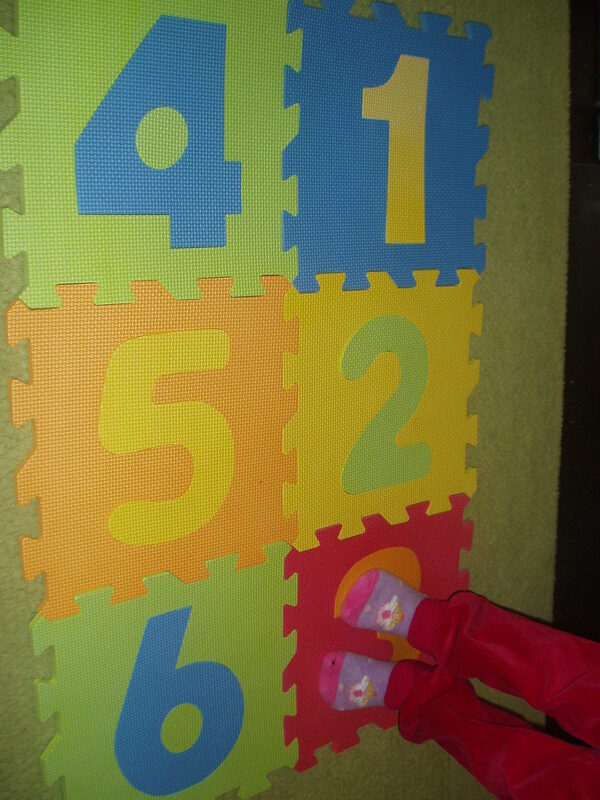 Then this morning while we where jumping on the numbers Pink started telling me which number was even and which was odd. So we re-organised the mat again using all the numbers to 10 and started focusing our throwing on only even numbers or only odd numbers. We also did this is Afrikaans so she could practice. This entry was posted in Homeschooling, ks1 maths and tagged ks1 maths, odds and evens. Bookmark the permalink.